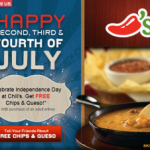 You are here: Home / freebies / Chili’s: FREE Chips and Queso printable coupon! 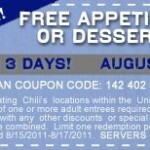 If you love Chili’s, you won’t want to miss out on this freebie offer! Get a coupon for FREE Chips and queso. I LOVE the Skillet queso at Chili’s, so I think this deal is pretty awesome! When you sign up for the Chili’s e-mails, you’ll get the heads up on other HOT promotions and freebie coupons! 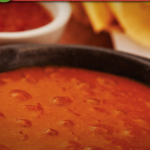 Chili’s: Get free chips & queso! 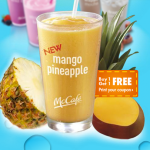 Restaurant round-up: Chili’s, Quizno’s, McDonald’s! Get free chips & queso from Chili’s!